The provision type can be a percentage, fixed amount and amount per unit, the user can also defined the currency to be used for the provision. Create new unit, edit and delete provision scheme. 1. Click on provision scheme to be updated, it will show the details at the bottom half of the screen for the selected scheme. 1. 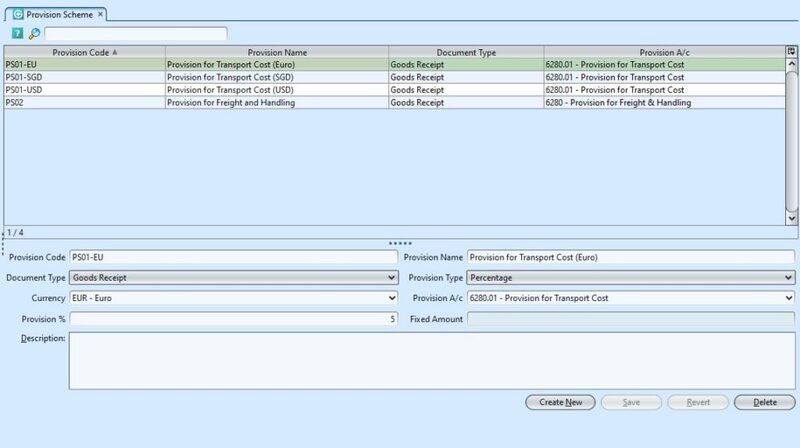 Click on provision scheme to be deleted, it will show the details at the bottom half of the screen for the selected scheme.